Cheshire Mouldings Benchmark Pine Stairparts may be manufactured from engineered or laminated Pine components, or ecological and design reasons, using the maximum amount of Softwood from a tree while producing a superb looking, and more stable Stairpart. Cheshire Mouldings Square Staircase components are only designed to fit other specific components in the range. Softwood Square Newel sizes are generally ± 1mm on thickness / ± 2mm on width, with one possible splitter saw edge & ± 6mm cross-cutting tolerance; This is the size immediately after machining the Softwood Timber, and does not take into account any movement later, caused by moisture movement into, or out of the PT1500P Moulded Newel Stairpart. For a multitude of reasons, size and profile of timber may vary from batch to batch, so it is best to purchase all you need for a job in one go, rather than buying more at a later date. 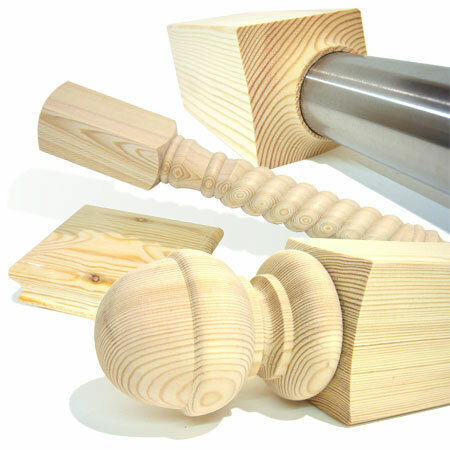 - We cannot be held responsible for any variations in machined PT1500P Newel Post sizes, pattern, construction, grading, moisture content, treatment, certi­fica­tion, knots, colour or grain. - We cannot exchange any Pine Stairparts once ordered; Cheshire Mouldings PT1500P Newel Posts are supplied as a Special Order. Payment - We can take Debit Card, BACS, Cash, Cheque or Credit Card payment online for Cheshire Mouldings® Benchmark Pine PT1500P Square Patrice Newels. Chargeable carriage weights are shown for PT1500P Benchmark-Pine™ Stair Newels are shown in Kg to include the minimum of packaging, our careful packing and the XDP® Standard Zone-A Carriage Charge; PT1500P Newels can be purchased online - Click add to basket; To see your ongoing Order Total or to amend, click the icon at the Top-RHS of the page in the Green Navigation-bar. 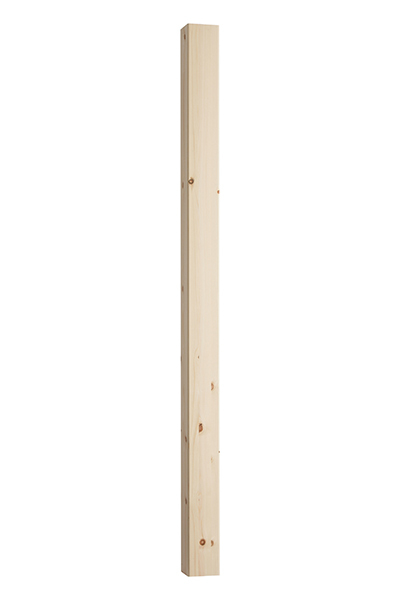 Direct Delivery of Benchmark Pine PT1500P Stair Newels from Cheshire Mouldings may be possible, & costs from £35 +vat per order - poa; - Don't forget, this price can include longer lengths such as Handrails and Baserails that are too long to be sent by our own carriers. E. & O.E. see T&C - We do try to keep prices and specifi­cations of Machined Pine PT1500P Benchmark Stair Newels correct, but mistakes can be made! Please let us us know if you do spot any errors - thanks.